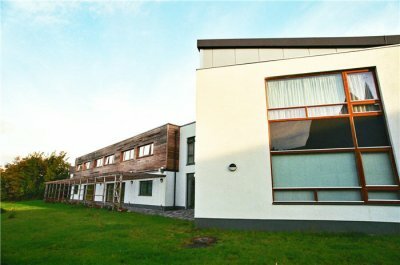 The project was built for the Jesuit Order in Galway providing them with new living accommodation. The project consisted of the construction of a new 2 storey residential community building with a floor area of 6,000sq ft. The building comprises of 12 bedrooms, communal facilities and oratory. The structure consisted of a raft slab concrete foundation, with a concrete and block work frame. 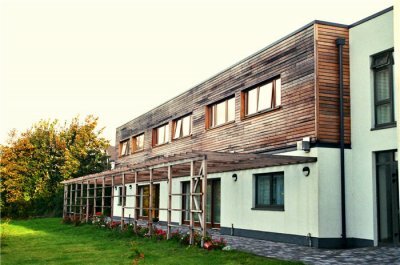 The main external envelope consists of larch and stone cladding, curtain walling, render on block work and a trocal roofing membrane on metal decking. Site works included the construction of a terrace area, parking.facilities and all associated landscaping works.